Abandoned by his mother and bullied by his playmates, giant panda Qizai had a hard childhood. However, the adorable bear, currently seven years old, has grown to be a super star in the animal world; for Qizai has proved that when it comes to a panda, it's not always a case of black and white. 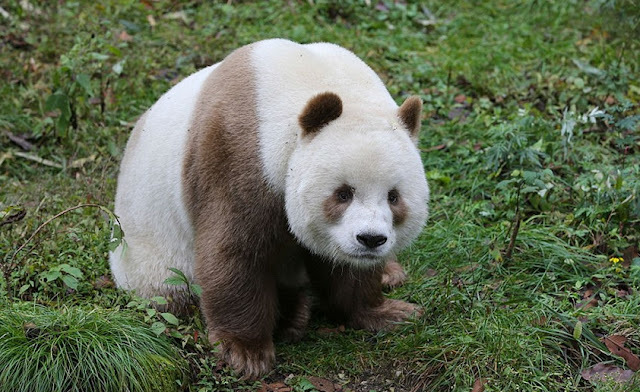 Currently living in the Foping Panda Valley in Shaanxi province, the animal is thought to be the only living panda in the world who has a rare coat of white and brown. As plan emerged that the Chinese experts are due to mate Qizai to demystify his unusual fur colour, MailOnline spoke to Qizai's keeper about the fluffy creature. He Xin, a 26-year-old Foping native, has taken care of Qizai, whose name means 'the seventh son', at the Foping Panda Valley for around two years. 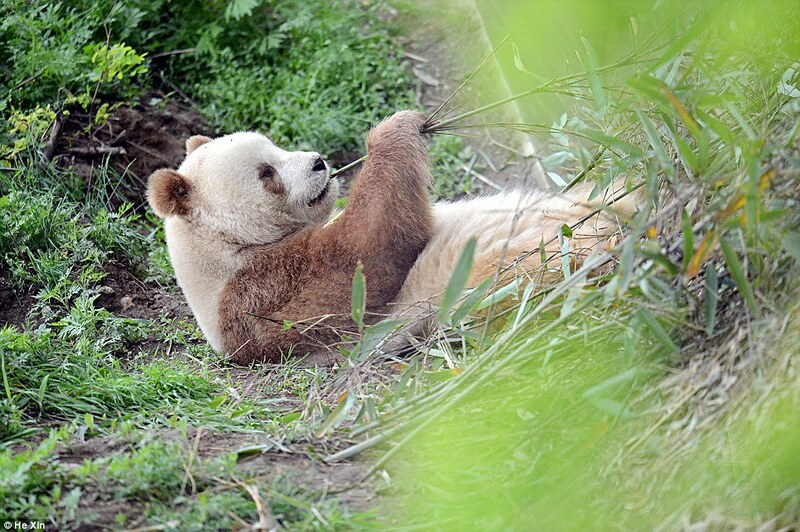 Before that Qizai lived at the Shaanxi Rare Wildlife Rescue. 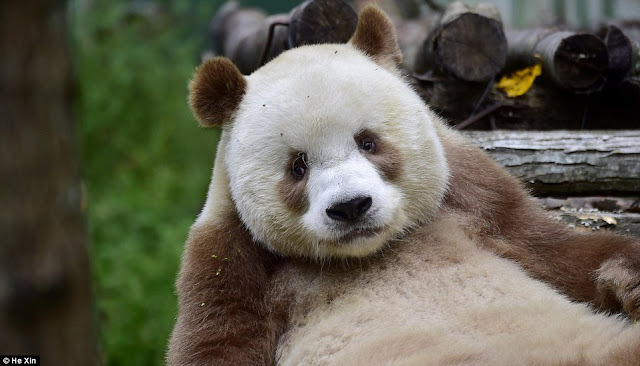 The soft-spoken man spends up to 18 hours a day looking after the bear, getting up at 6am in the morning to feed him bamboo and going to bed at midnight after making sure that the panda sleeps well. 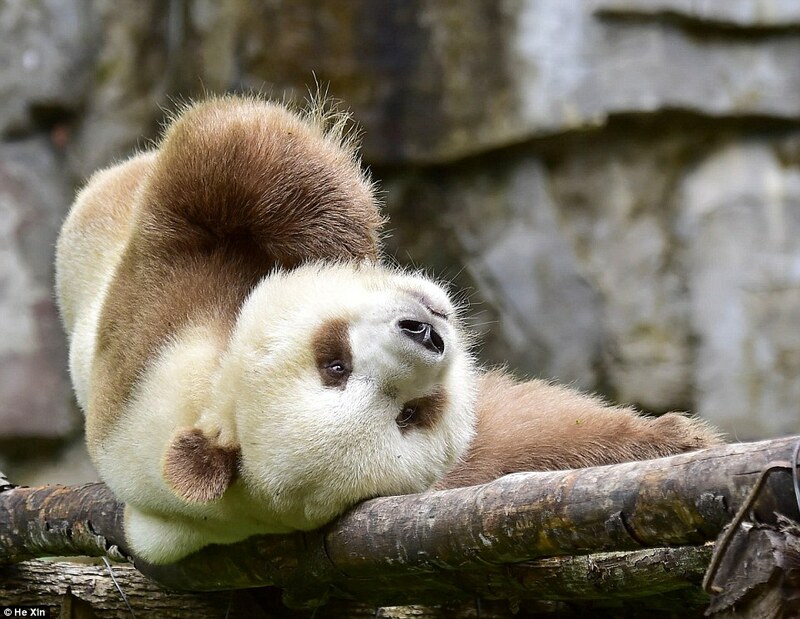 'He is slower than the other pandas, but he is also cuter,' Mr He told MailOnline, describing him as a 'gentle, funny and adorable' animal. 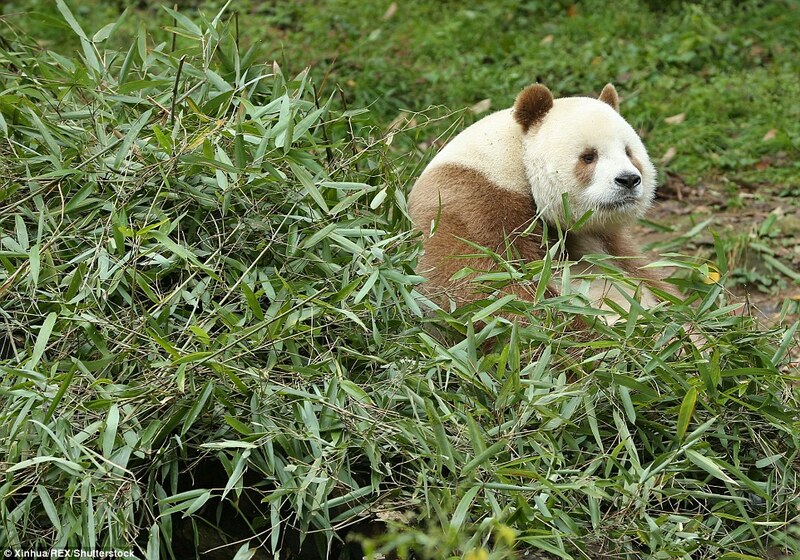 The man added that when Qizai was a cub, he had been bullied by other pandas who would eat his bamboo. 'He eats more slowly than the other too,' Mr He said. However, after he reached adulthood, Qizai has been raised in a separate enclosure. 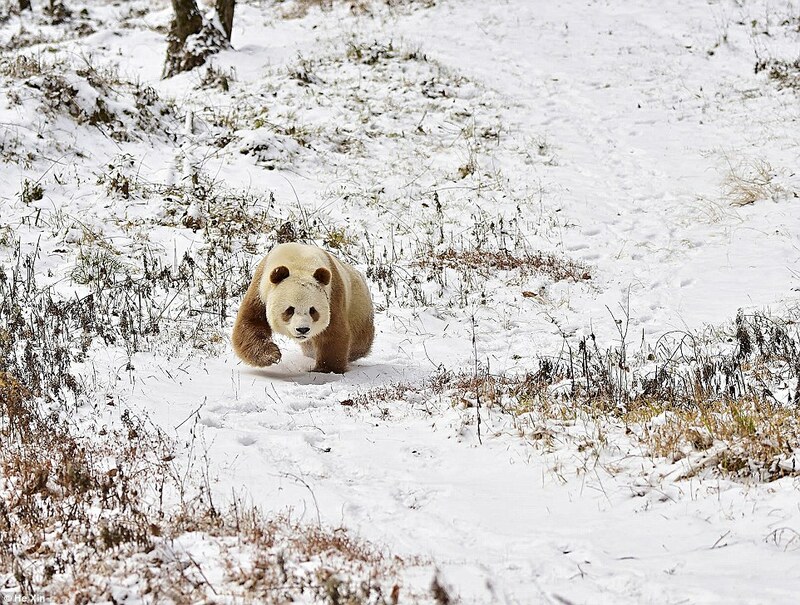 He is fed four to five times a day, and his meals range from bamboo, to milk to Chinese flour buns. 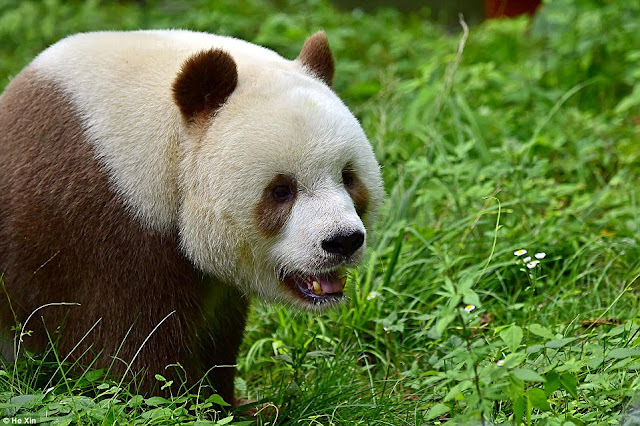 The famous bear now weighs more than 100 kilograms (220 pounds), the normal size for a seven-year-old panda, and can eat around 20 kilograms (44 pounds) of bamboo every day. 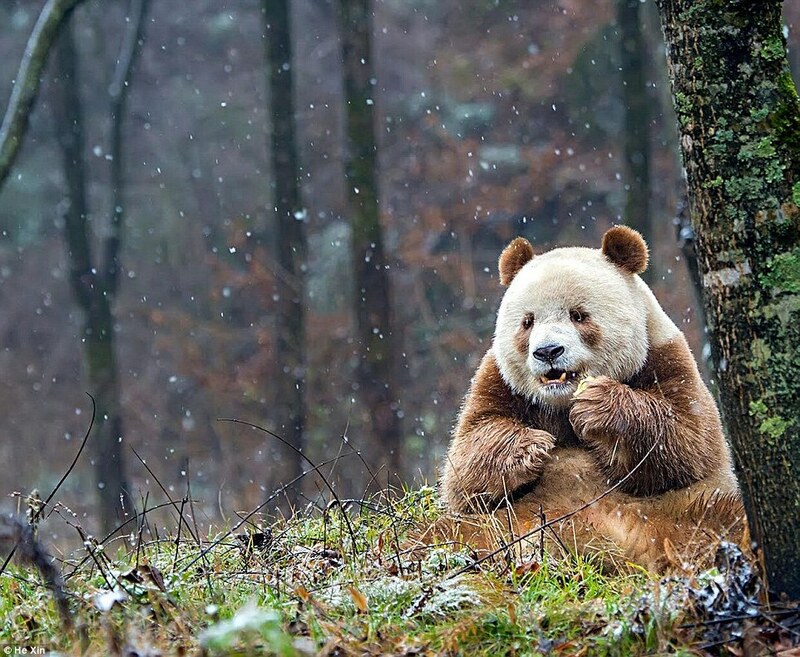 Responses to "The World’s Only Brown Panda Who Was Abandoned As A Baby, Finally Finds Happiness"